StoneGate Virtual Firewall/VPN Appliance is a ready-made, easy-to-add network firewall appliance for demanding virtual environments.StoneGate Virtual Firewall/VPN Appliances can be managed with StoneGate Management Center. The StoneGate Management Center offers unified management for all StoneGate Security appliances, both virtual and physical. The corporate security policy can be consistently enforced through out the whole network. 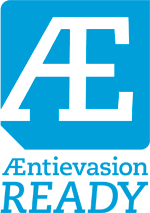 This brings organizations significant cost savings, flexibility and sustainability. StoneGate Virtual Firewall/VPN provides the high end functionalities and ease of use characteristic of all StoneGate appliances. StoneGate Virtual IPS Appliance is a ready-made, easy-to-add network Intrusion Prevention System (IPS) appliance for demanding virtual environments. The solution protects applications and operating systems from threats against vulnerabilities in the virtual environment.Using multiple analysis techniques, StoneGate IPS protects virtual hosts from network attacks, detects and prevents network traffic abuse, including Denial-of-Service (DoS) attacks and communications from unwanted applications like P2P and streaming media. 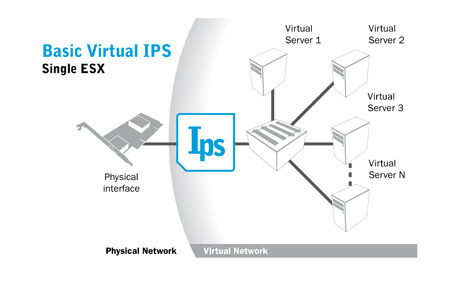 StoneGate Virtual IPS provides flexible deployment options for physical and virtual network environments in both inline IPS and IDS modes, without network topology changes. With the Layer-2 Firewall, StoneGate IPS allows easy and cost-effective firewall-like network segmentation and access control. StoneGate SSL/TLS decryption and inspection feature gives the network security administrators an efficient tool to monitor the traffic inside of the encrypted HTTPS within virtual network infrastructure. 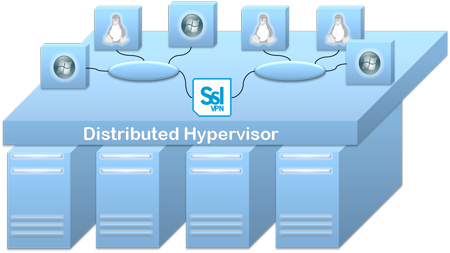 The SSL/TLS inspection is available for Virtual IPS Appliance for server-side protection. Virtualization technologies like VMware Virtual Infrastructure 3.x and vSphere allow the implementation of virtual datacenters where servers are consolidated over a hypervisor distributed across multiple physical servers.This maximizes resilience to hardware failures while optimizing scalability and minimizing operating and maintenance costs. StoneGate SSL VPN Virtual Appliance is a solution to build an application portal, which is dynamically populated depending on multiple criteria, with a particular accent in strong authentication, end-point security, assessment and trace removal techniques. The native format of the Virtual Appliance allows immediate deployment of the solution in VMware based virtual infrastructures. Support for optimized network drivers guarantees efficiency and performance. With 20 Gbps inspection performance modular StoneGate IPS-3205 offers the highest level of security without compromising traffic speed across the network. With up to 4 Gbps performance, the Stonesoft IPS-1302 is designed for demanding Web and encrypted traffic inspection without compromising traffic speed or availability. An interface card modularity provides fast and flexible network deployment at data centers and corporate networks. With 2 Gbps performance, the StoneGate IPS-1205 offers the highest level of security without sacrificing the speed of traffic across the network. The appliance is easy to deploy anywhere in the network and equipped with two inline pairs it can operate at two inspection locations simultaneously. 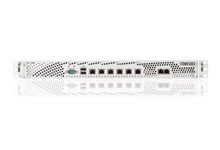 With the capacity ranging from 350 to 600 Mbit/s StoneGate IPS-1060 is designed for branch offices, DMZ’s, extranet or internal network segments. The appliance is available as an IPS Sensor or combined with Analyzer functionality. Protects up to two inline segments. StoneGate™ SSL-3201 appliance offers flexible and secure remote access to enterprise information, applications and networking resources. It provides secure access cost-effectively by establishing an encrypted VPN tunnel across the Internet. With the maximum capacity of 500 concurrent users StoneGate SSL-1060 is ideal for medium-sized organizations. SSL-1060 offers flexible and secure remote access to enterprise information, applications and networking resources. With the maximum capacity of 100 concurrent users StoneGate SSL-1030 is ideal for small to medium-sized organizations. SSL-1030 offers flexible and secure remote access to enterprise information, applications and networking resources.